The digital audio revolution that began in the 1980s taught the music industry that rapid technological development would quickly overhaul previously known limitations of the analog world. Compact discs opened the door for longer albums, and digital processing allowed producers to pitch shift not only instruments but also vocals, adding an unprecedented sheen to their finished products. The 1990s would prove pivotal for the music industry as analog gave way to digital, affecting all corners of the music world. On the consumer end, cassettes gave way to CDs and eventually MP3 files and CD-Rs burned on personal computers. As common knowledge holds, the highly controversial advent of file sharing and CD bootlegging would shake up the industry’s revenue model for good. Behind the scenes, there was a similarly significant revolution underway, as analog recording faded among a series of developments in digital production that would climax in computer multitracking entering the studio process towards the end of the decade. From the audiophiles and engineers riled up over the debate over analog versus digital to the musician recording at home on no budget, just about everyone involved with music was affected by the changes brought by the 1990s. By the mid 1990s, these units were going digital, eschewing cassette tape for hard drive and disk-based recording. These digital recorders would only surface towards the tail end of the decade, and it would still be a number of years before computer interfaces and DAWs become ubiquitous in all home studios. The Line6 POD is worth noting due to its ubiquity in the consumer market. The all–in–one amplifier simulator and multi–effects unit seemingly revolutionized the standalone digital studio overnight by offering players a horde of accurate amp tones, both vintage and modern, in a small package at very low cost. The device was enough of a hit that its production continues to the current day, but its legacy arguably lives on in the packs of native effects that come standard with today’s DAWs, including, yes, guitar amp simulations. By the end of the 1980s, digital multitrack tape recording was improving in fidelity and dynamic range. But sound quality was still not as refined as with all–analog tape technology and tape was still tape, vulnerable to damage during handling and storage. ADAT recording was tape's last victory in the 1990s, with pioneering digital music equipment manufacturer Alesis leading the charge. 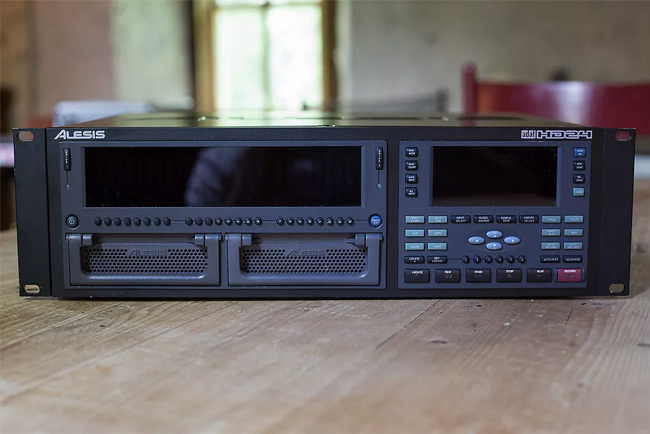 Utilizing a slightly modified version of the VHS videocassette, the S–VHS, ADAT challenged the middling standards and high price point of digital multitrack recording. Same with the video recorded onto VHS tapes, ADAT encoded signal onto S-VHS. The original ADAT recorders were limited to eight track, but up to 16 recorders could be daisy chained to raise that limit. ADAT was rising in popularity just around the same time that computer technology was improving, but its lower cost meant it had staying power until DAWs actually became cheap enough to achieve ubiquity. The albums most famously recorded on ADAT, a medium that practically lived and died in the 1990s, are also albums that wouldn’t make much sense in any other decade: Primus’s 1993 album Pork Soda and Alanis Morissette’s 1995 album Jagged Little Pill. 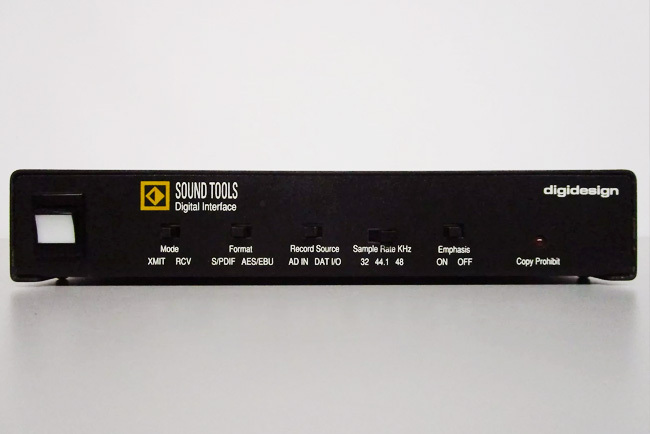 Sound Tools, the precursor to Pro Tools, was introduced at NAMM in 1989. Sound Tools was a workstation running the Sound Designer II software and laid the groundwork for contemporary digital audio workstations (or DAWs) with two tracks available for recording. Prior to this, existing software limited recording to a single track. Two years later, in 1991, Sound Tools would evolve into the Pro Tools software platform, the first true DAW. Slowly, Pro Tools would creep into the studio, not as a revolutionary new platform, but as a new tool in the production process. Terry Manning, a legendary producer and engineer who has worked with for ZZ Top, Aretha Franklin, Iron Maiden, and Stax Records, remembers how he first integrated computer recording into his process. “I adopted a hybrid approach and utilized the Pro Tools systems as I would a tape machine, recording through analogue preamps and outboard to PT multitrack, and then playing back track-for-track into the analogue console for mixing. So I was recording digitally, but through analogue gear, and mixing back through the desk on to ½" tape." Pro Tools' innovated graphical interface that brought the entire recording rig to the computer screen, from the soundboard to the outboard gear to the multitrack unit entirely available on the computer screen. The dream of limitless, flexible computer multitracking was rapidly becoming a reality. Terry Manning recalls, “I increased my capabilities to 4 track as soon as that was available, and started syncing the Pro Tools system up to my 24/32 track machines, just to get a few extra tracks! Then the track count increased rapidly. It seemed to happen almost overnight, not 10-20 years in the making as I had assumed!" 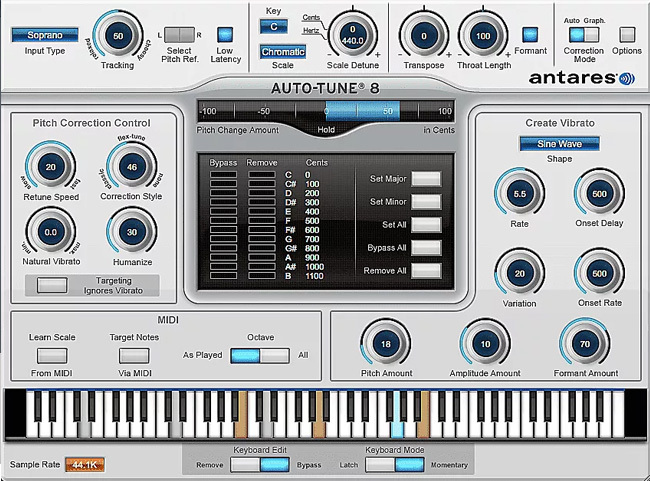 Even though Pro Tools was the first to bring the studio to the computer, Steinberg perfect DAW graphical interface design with Cubase. That program’s layout would help it become wildly popular, resulting in pervasive usage from professional to amateur studios. Towards the end of the decade, DAWs were being used to host and control hardware, as opposed to just being used as an accessory in an otherwise hardware process. Digital mixing boards allowed for DAWs to automate faders, meaning that engineers were no longer dependent on the band and the studio janitor to push faders during a mixdown. Digital power would give producers and musicians more opportunities than just mixing to get ambitious with production. 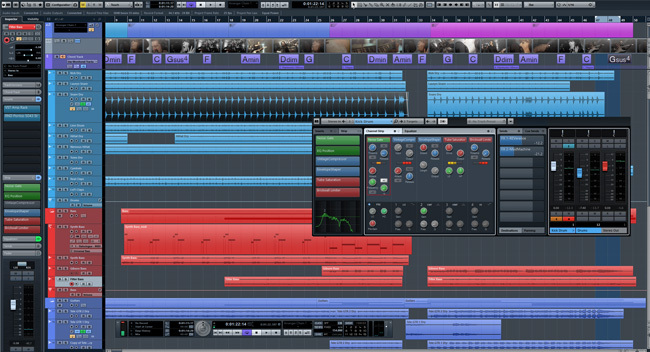 DAWs could interface with and eventually host digital instrument and effect plugins that were both simulations of extent hardware and innovative, powerful new tools. Mastering was the site of one of the most significant revolutions brought by digital audio. With vinyl records, there was an upper limit on a recording’s loudness. If mastered too loud, the record would shake the needle and disrupt playback. Loudness would not affect CD playback, and the medium also had a clear maximum amplitude. Therefore, CDs could be mastered a whole lot louder. Mastering engineers utilized brickwall limiters to anticipate differences in the dynamic range in the recordings by pushing its levels to the ceiling. Compression was applied liberally to remove the volume peaks and boost the lower levels, creating the impression of overall greater loudness. This was the beginning of what some would call "The Loudness War." Producers claimed the big wigs responded best to what the perceived as the loudest mix, so armed with their brickwall limiters and peak analyzers, producers stuffed as much action as they could into a single waveform. Compression would become one of the lasting legacies of the 1990s in terms of audio, and not just through mastering. The MP3 file was notorious for its low–quality compression. As this became ubiquitous in the 2000s, so did low digital fidelity. Today, streamed and downloaded audio enjoy higher fidelity despite similarly heavy digital compression, but some platforms like YouTube offers audio at a similar quality to those early MP3s.